Hello and Happy Christmas to you all. It is 7am on Christmas morning and I am taking advantage of having older children who will not be up for a couple of hours to have a quiet cup of tea and a little blogging time. I have sorted out the stocking and the presents are under the tree, we have baked gingerbread and a Yule log and so we are all prepared – except I have still to finish knitting the final Xmas stocking which I plan to do today while watching some festive TV. 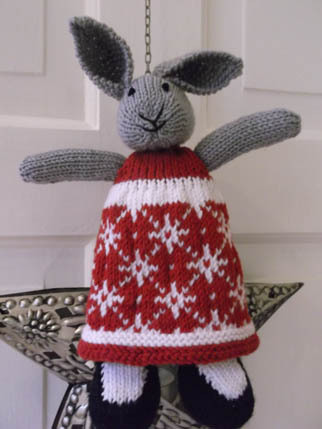 I have finished the bunnies though and have done one in a Christmas dress. This one is for Ellie and I have called her Chloe as when I was expecting Jacob people kept asking Ellie if she wanted a brother or a sister. She got over her disappointment though and she loves having a little brother (albeit a 6 foot 2 inch brother is hardly little) now. This is our first Christmas here in the new house and so far we have had a lovely time, Ellie and I went to the Christingle service at the local church last night which was lovely, then for a meal in the local pub (rare for me to be in there without my knitting as it is our group’s venue). They are staying here for New Year but I am off to Spain so will be back in a couple of weeks, term finished late this year so I have taken advantage of the fact that we do not start back until mid January and am on leave for 2 weeks which will give me plenty of time for sitting on the terrace knitting. 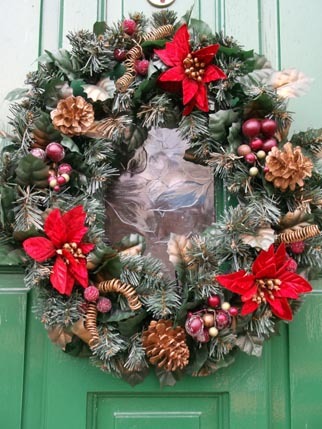 Hope that you have a lovely festive season, take care and see you all in 2014 – thanks for visiting. 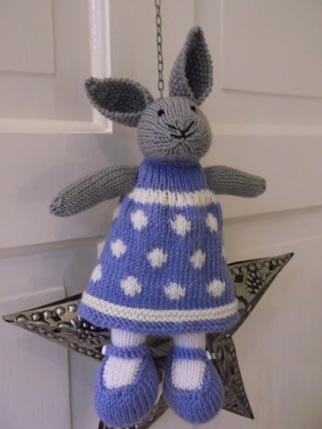 You would think that someone who makes Christmas ornaments nearly all year round and started knitting gifts months ago would be finished well in time for the last posting dates wouldn’t you? 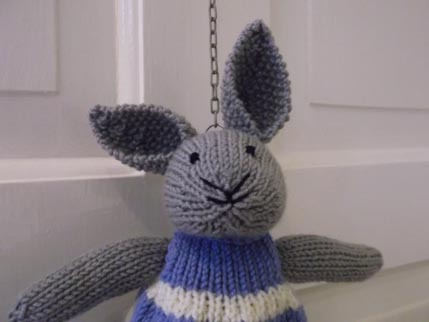 Only realised yesterday as well that the bag that was going to be given with one of the bunny gifts was still unfinished – oops. 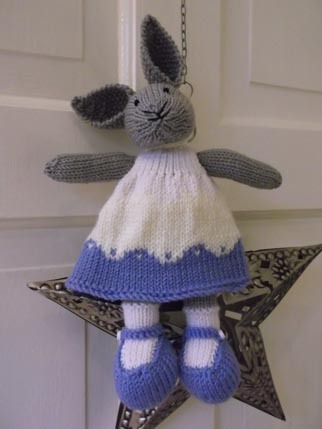 The finished bunny I have named Lucy though she is going to my cousin’s daughter who will name her, hope she likes her as much as the other cousin’s daughter did with the first bunny I made. 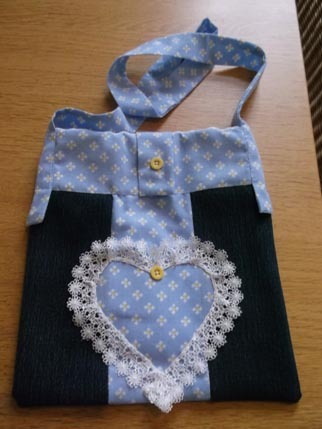 I made the bag in the summer – it is made from recycled jeans and a pillow case and it was the colour scheme of the pillow case that inspired Lucy’s 3 dresses. I love the way she has wonky ears, all the bunnies turn out with such different faces. Lucy looks quite serious don’t you think? 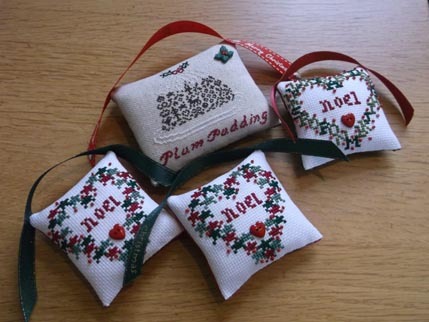 Have also made up all the stitched ornaments into little hanging pillows.These are all JBW Designs from Sew and Sew. I think when I sort out the craft room in Jan I shall have a noticeboard and will write a list of projects and timescales so I can keep track, especially as I have so much medieval kit to stitch for next season. 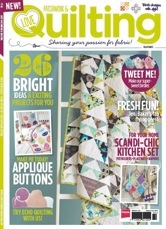 Planning not helped by the fact that I have just subscribed to a new magazine called Love Patchwork and Quilting which has given me so many new ideas for things that I want to make. 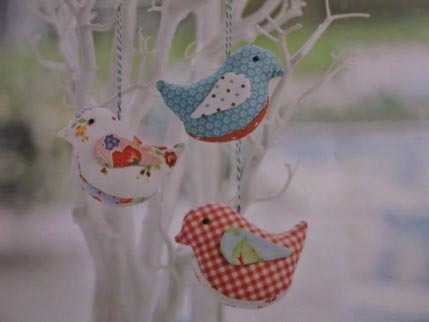 What about this little bird ornament – can you imagine some of those in Christmas fabric? They have a first 3 issues for £5 deal on their website at the moment and it is a very lovely magazine with links to lots of other lovely blogs. I have been looking at the work of Amy Smart whose Diary of a Quilter blog is full of lovely, lovely things. So many ideas and so little time! Anyway back to my finishing now – only 9 days to go till Christmas eek! Thankfully the food shopping is nearly all done so I can concentrate on crafting! Hope you all have a good lead up to the festive season and thanks for visiting. 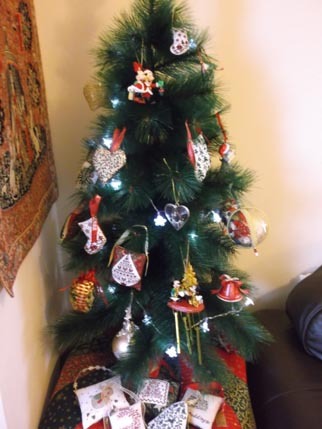 I now declare the Christmas season well and truly open.The turkey is in the freezer (along with the gammon and beef) the tree is up, most of the cards have been written and I am just frantically finishing off the ornies and gifts to send to family and friends. You would think that since I make Christmas ornaments nearly all year round there would be no last-minute finishing but despite having done all the stitching and knitting I haven’t quite got around to putting them all together and as they need to go in the post by the end of the week I need to get cracking! 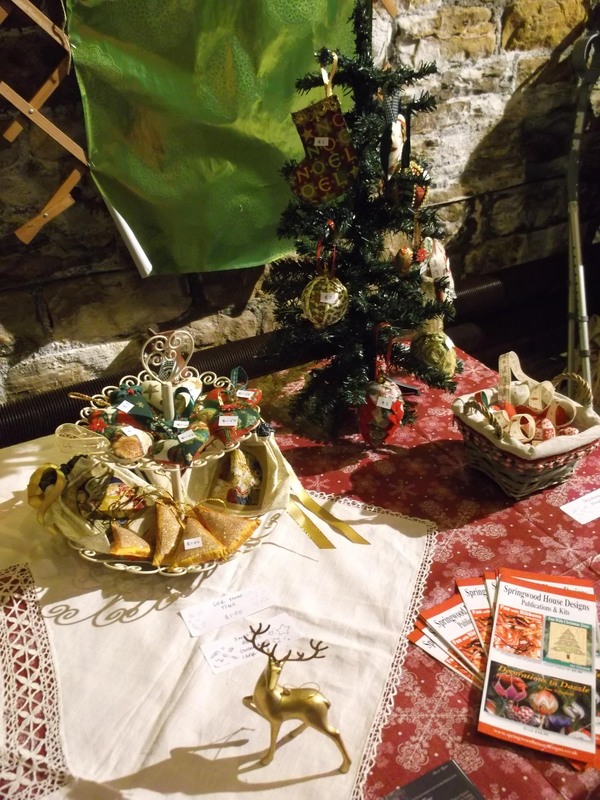 I did quite a bit yesterday while I was doing my stall at the lovely Oakwell Hall Christmas Craft Fair.That is another thing that always makes me feel very Christmassy as I sat and listened to Christmas songs all day and chatted to people about my ornaments. I love doing this event ( did not make it last year due to being in China for most of Oct). 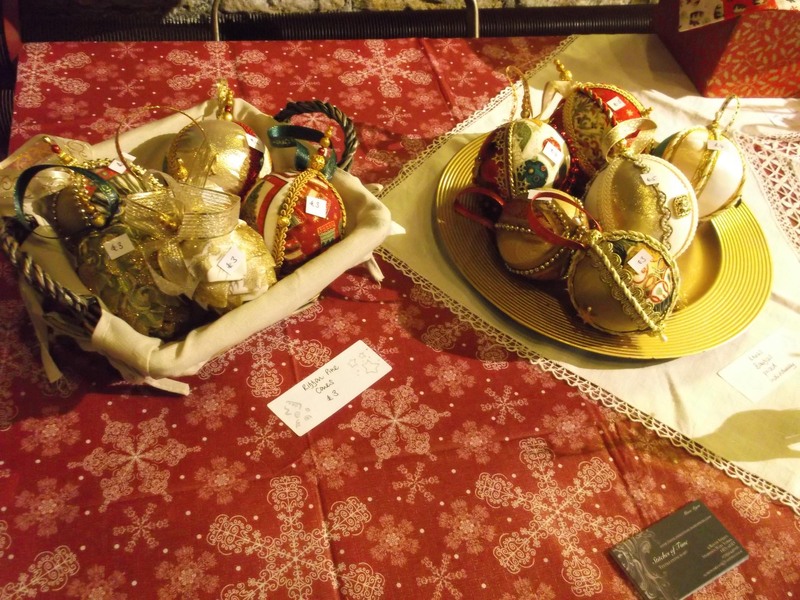 I did sell lots of things which was great but even nicer were the lovely comments people made and it is very nice to know that my work will be hanging on other people’s trees this year. There was one very cute little boy who had come to the fair with his grandparents just to buy a nice bauble and he choose one of my favourites from this year’s new stock. He looked so pleased, bless him, and a little bit later they came back to buy two more ornaments for their other grandchildren so that they wouldn’t be left out! 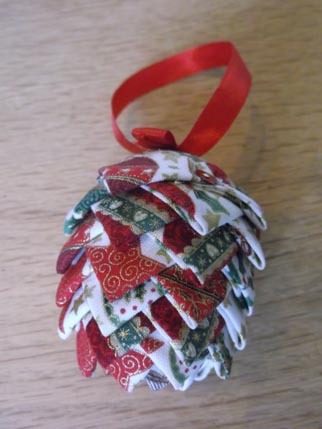 I also bought this very lovely pine cone from one of the other stalls, it is similar to the ones I make but is made from fabric and very neatly done with little sequins with the pins at the top. 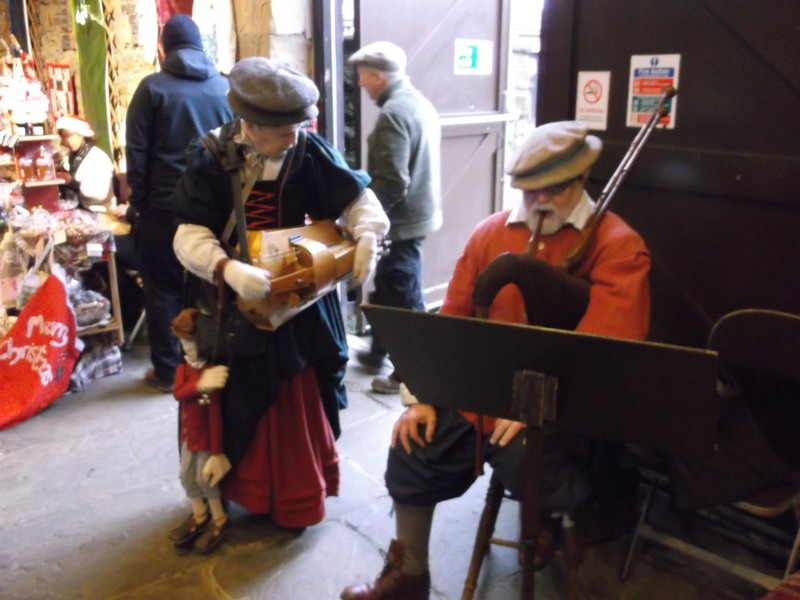 There were also these Tudor musicians entertaining us with a variety of instruments, very lovely and made me nostalgic for being in kit! 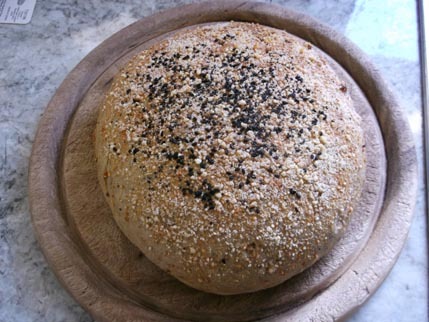 I have been experimenting with bread recipes from my new Paul Hollywood book, here is a rye bread I made with a parmesan and poppy-seed topping – yum yum. Have lots of other lovely stuff planned to cook, especially on Boxing Day when my brother and sister-in-law come round as they really enjoy cooking and will appreciate my efforts as well. I have a busy week ahead with 2 Christmas dos, the knitting group when we have a crafty Secret Santa and all come home with a new ornament and a work do with a 50s theme. Hope you are enjoying the run up to the festive season – don’t forget to comment on my giveaway post as I will be choosing the winner on Friday so that I can get the ornaments in the post in time. 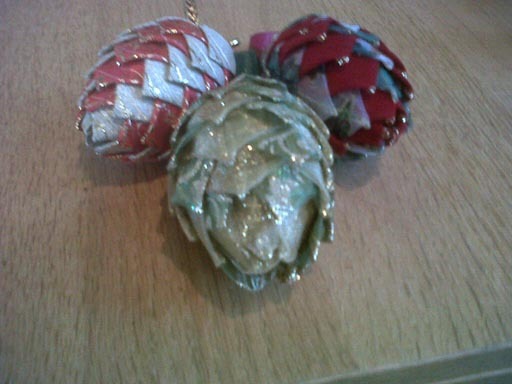 More ornaments and a blogaversary! Hope you are all well and happy. I have been having a very lovely quiet weekend making ornaments for my upcoming craft fair next Sunday and decorating my house. The tree is up, the baubles are out and all is looking pretty 🙂 It is a little bit earlier than I normally do it but I am so busy this week and next weekend with various Christmas related things that I thought I would indulge myself (since the kids aren’t here to tell me I am mad lol). I have taken some pictures of the latest makes – apologies as my camera has run out of batteries and so these are taken on my phone and in not very good light. The first one is more of the ribbon pine cones that are so pretty and the second picture is of two ribbon tress that I made using the same technique. 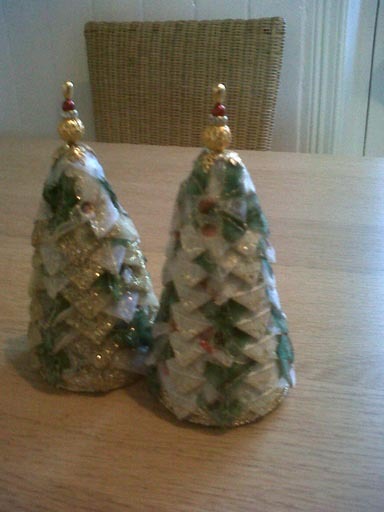 I have had the polystyrene cones for these for a couple of years but only just got around to making them and they are just for me! I had a lovely day yesterday watching the Doctor Who 50th anniversary programmes while doing these. 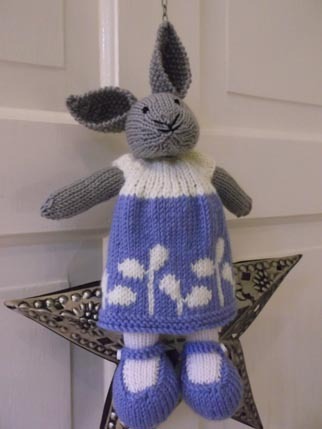 Both designs are from Sue Schofield of Springwood House Designs, and are from the book ‘Fun with Ribbons’. Books and kits and the polystyrene shapes are available from her website as well as oodles of lovely ribbons so go treat yourself and make something nice just for you. It is really easy, no sewing just pinning! It is also my 6th blogaversary tomorrow so to celebrate I am giving away three of my hand-made Xmas ornaments to one of you lovely people. Thank you for all your support and appreciation for this blog, it is really nice to know so many people enjoy what I do. 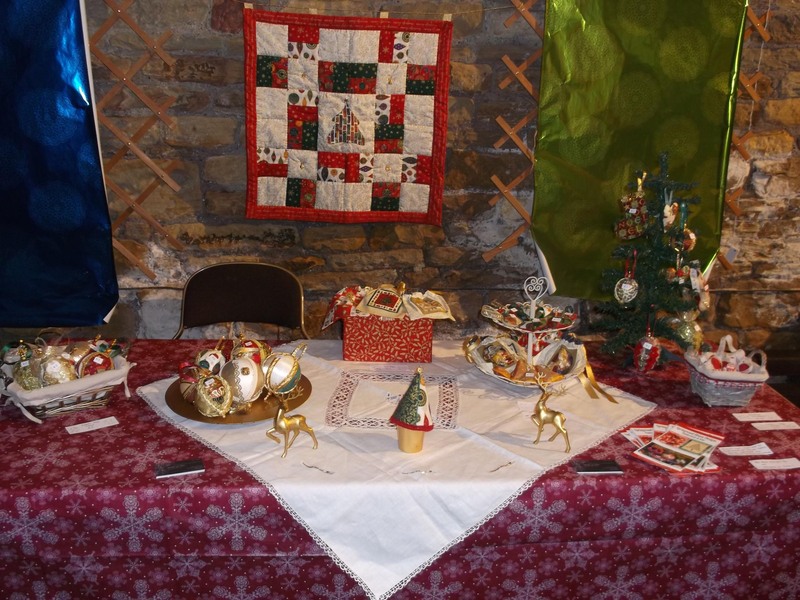 I will return next week, hopefully after a very successful craft fair, really looking forward to it. I am at Oakwell Hall in West Yorkshire if any of you are in the area.